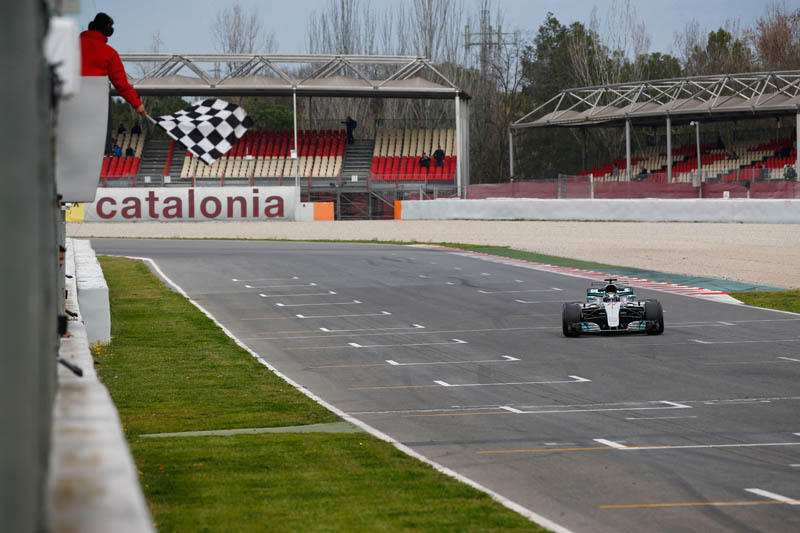 Mercedes 149 laps - 694 km - of the Circuit de Barcelona, as 2017 pre-season testing continued with Valtteri Bottas and Lewis Hamilton taking turns at the wheel of the F1 W08 EQ Power+. Valtteri emerged for his first run as the track opened at 09:00, completing 70 laps before the hour-long lunch break at 13:00. Lewis took over in the cockpit for the afternoon session, completing 79 laps before the pit lane closed at 18:00. Today's test focused on analysis of new aerodynamic development parts, followed by further car set-up work for the early races and data collection on the 2017 Pirelli tyres, with both drivers completing similar programmes. 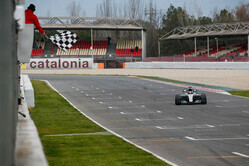 Valtteri Bottas: It was another good half-day in the car for me. We managed to complete our programme as planned and I have to say that I felt much better in the car today with the changes we've made. We're definitely making good progress as a team and I'm feeling more and more comfortable in the car every time I go out on track. We were focusing on shorter runs today. In the first part of the morning we did lots of aero tests to evaluate some upgrades and everything seems to be going in a positive direction. There's still plenty of work to do so we need to maximise the next two days of testing. Fastest laps don't matter in testing. What matters is where you are when you get to Melbourne. I'm just pleased we managed to complete the full programme. I learned so much from today's running. Now I'm just concentrating on tomorrow. Lewis Hamilton: It's been a pretty good day, nice and smooth with no issues. There is still a lot of work to be done but on the whole, it's been another productive day for the team. F1 is always fun. The cars are always amazing. But this car... it's faster and it's more of a challenge to extract everything from it. I love that I get to do this. It was really great to see the fans with their banners in the grandstand this afternoon, so a big shout-out to everyone who came out to support us today. Mercedes duo admit Ferrari is "looking good"